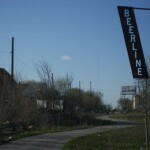 Ten years ago the old railway corridor that splits the Riverwest and Harambee neighborhoods was in disrepair. The trail that the train tracks ran along was a hub for illegal dumping, crime and drug use. Today – after extensive rehabilitation – the trail has been transformed into a tree-lined community space.